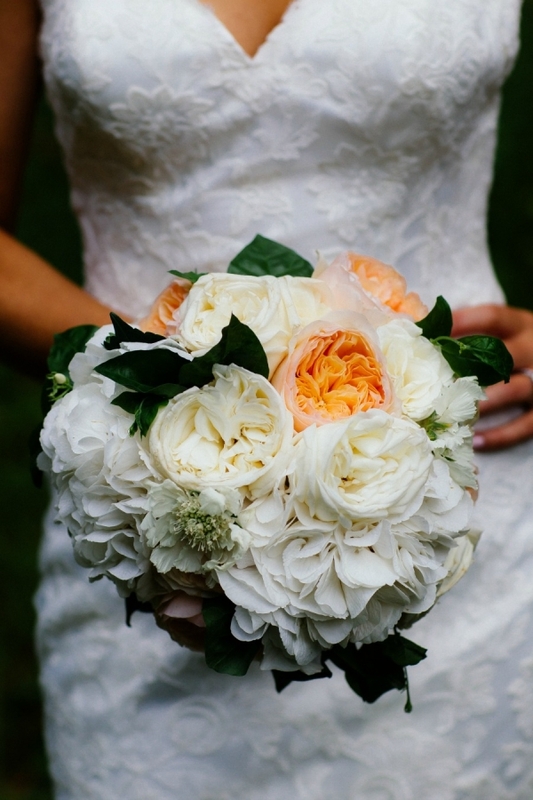 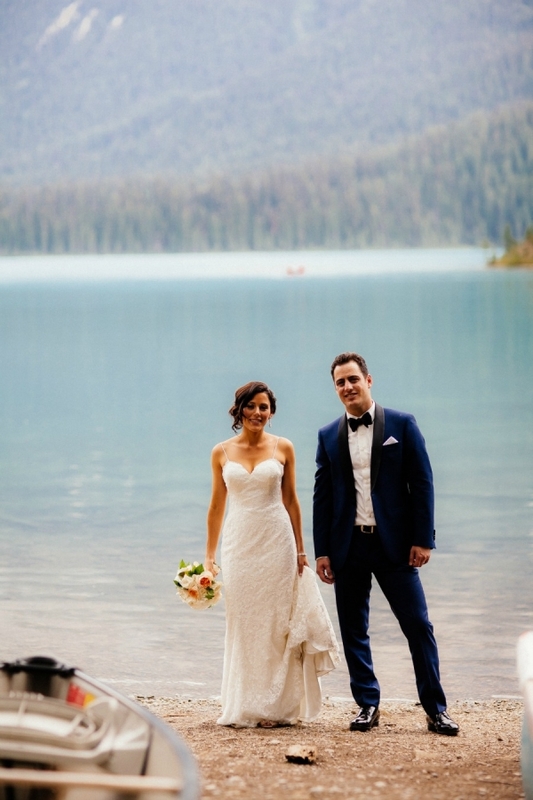 This Natural Elegant Wedding is featured on Wedding Bells. 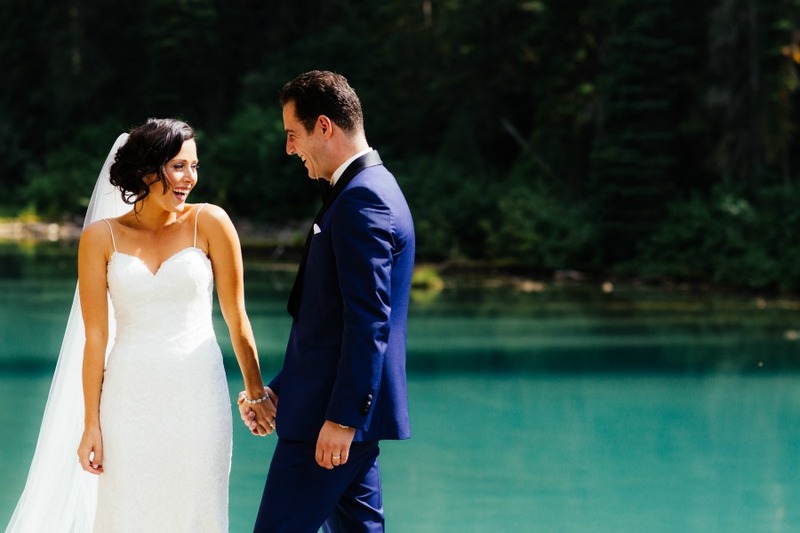 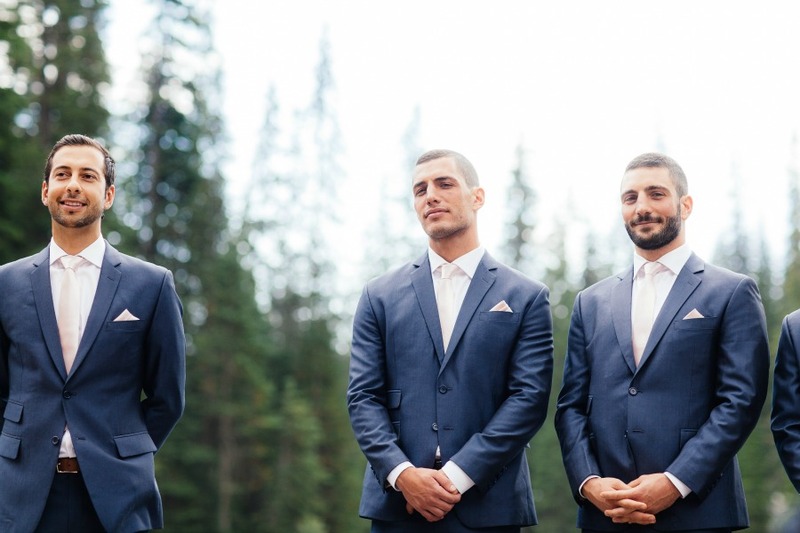 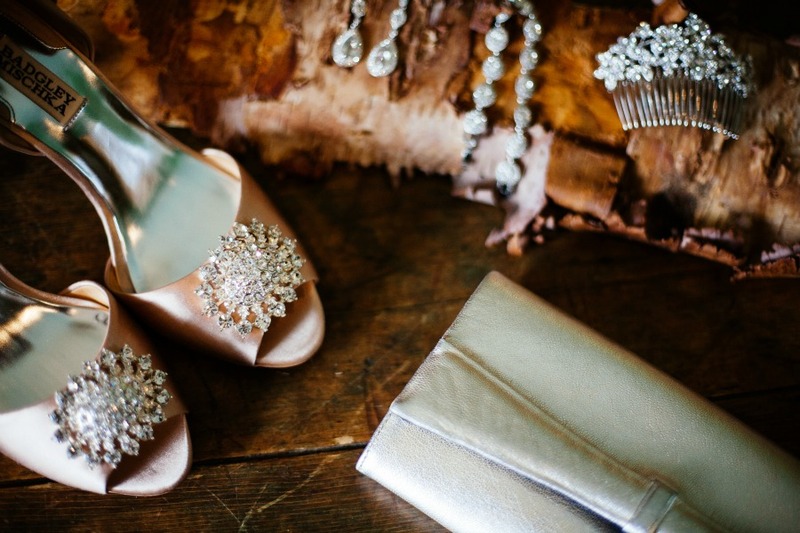 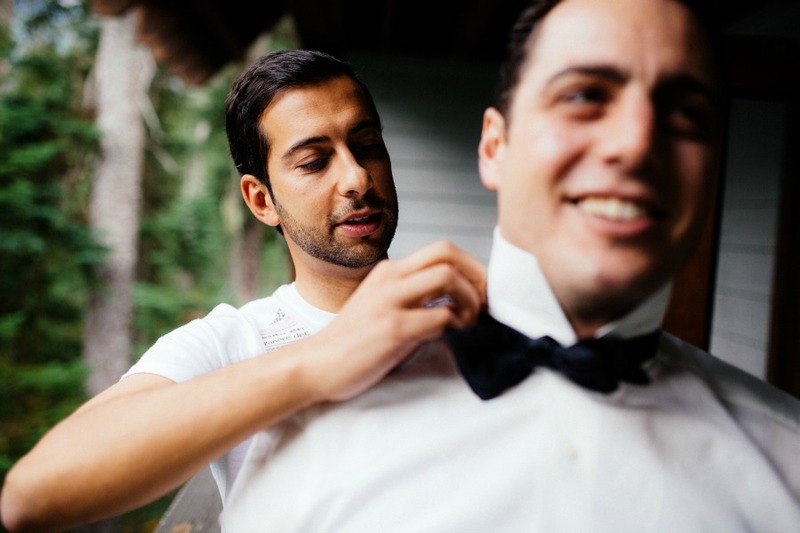 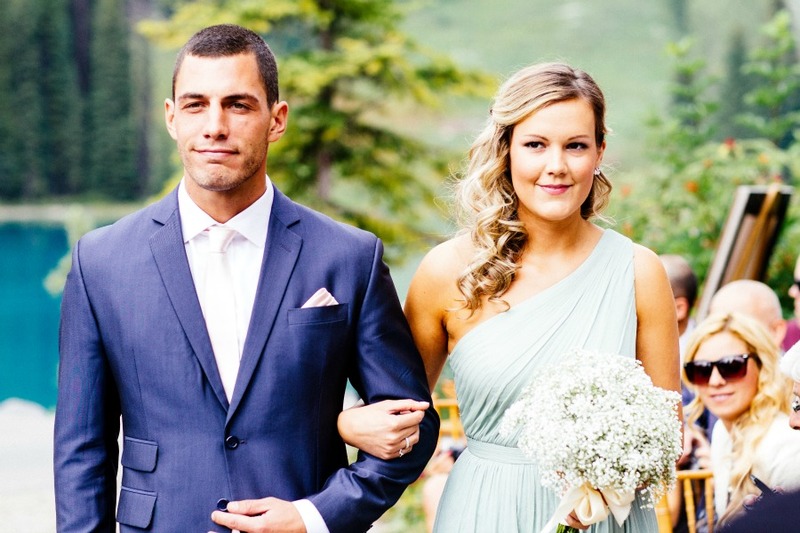 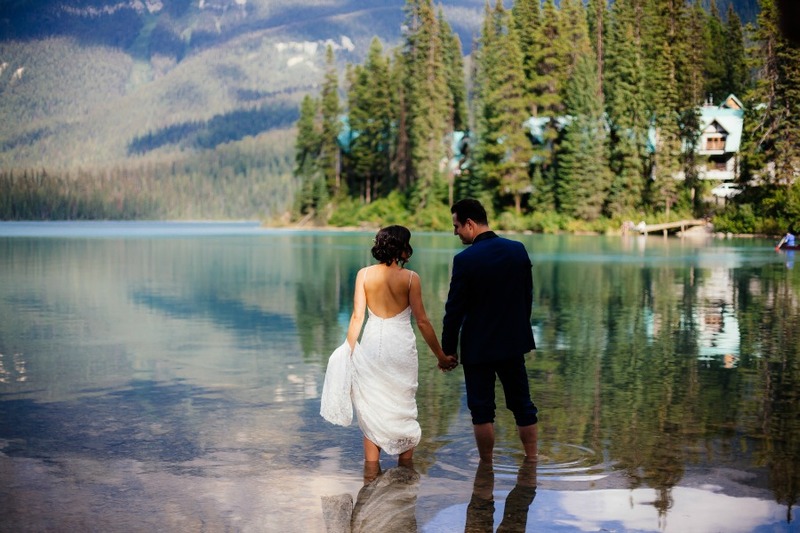 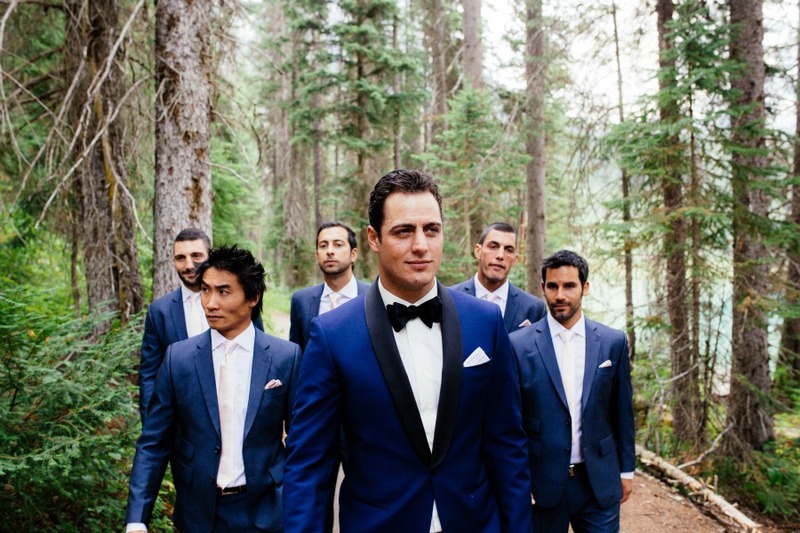 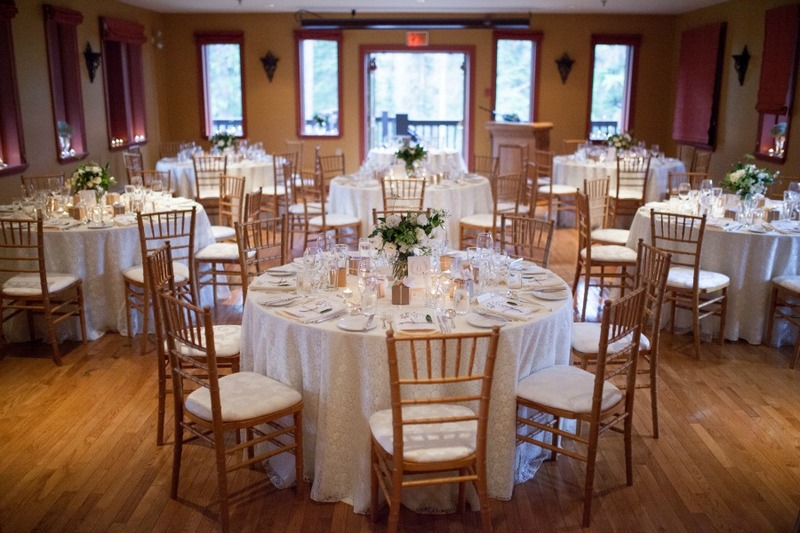 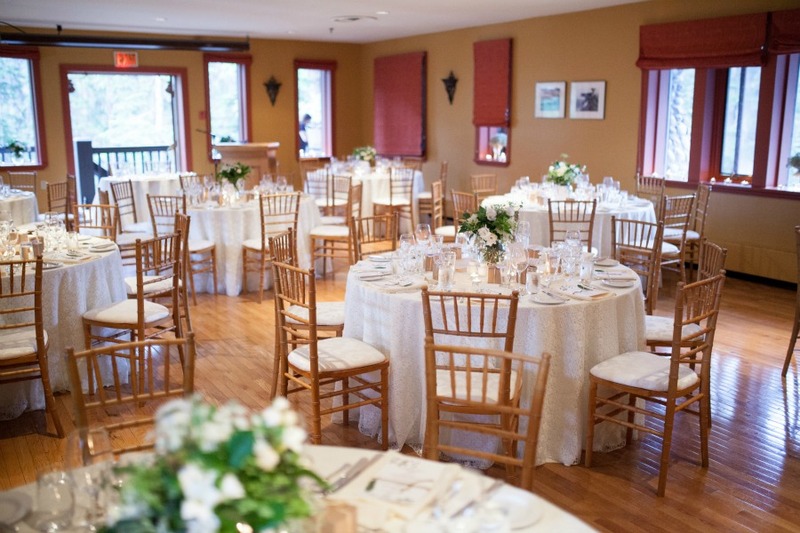 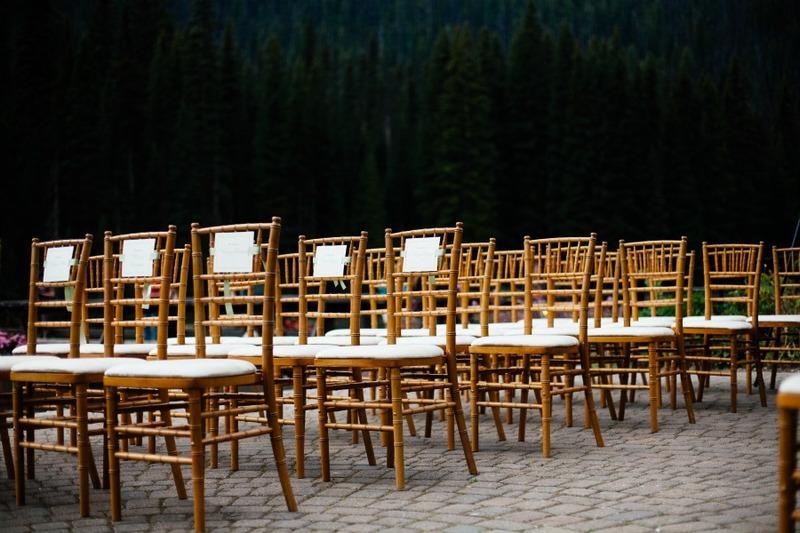 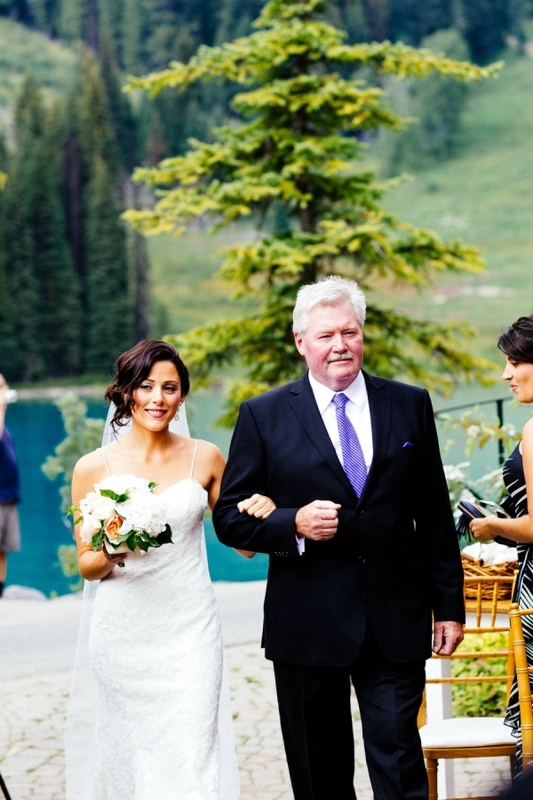 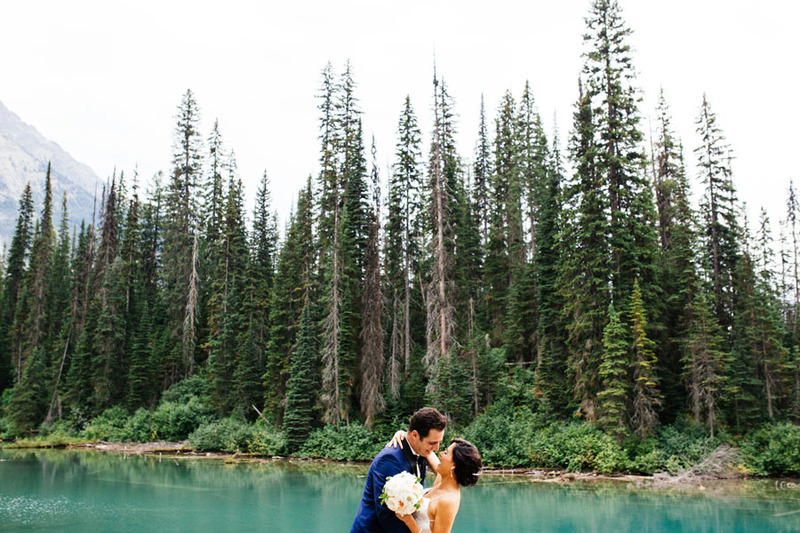 Michelle and Jon’s Emerald Lake Lodge wedding was definitely one of my favorites! 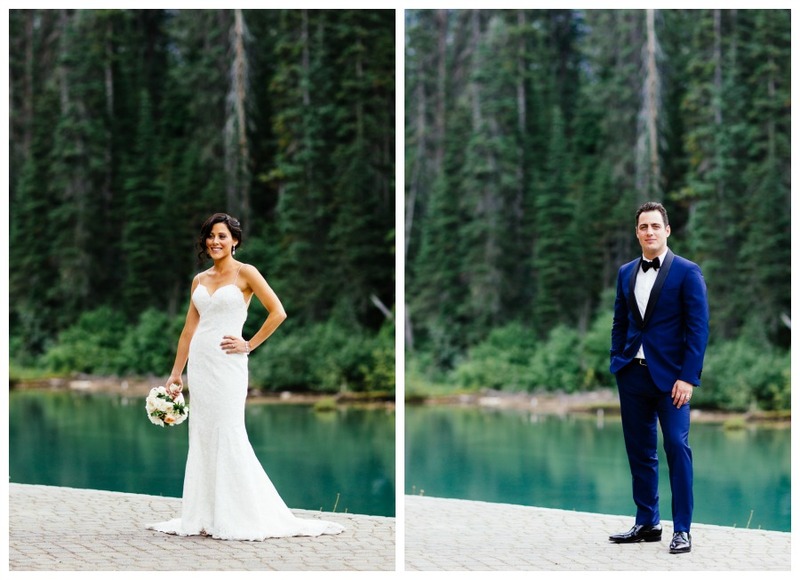 Not only are they are a super cool couple, but they have great style as well! 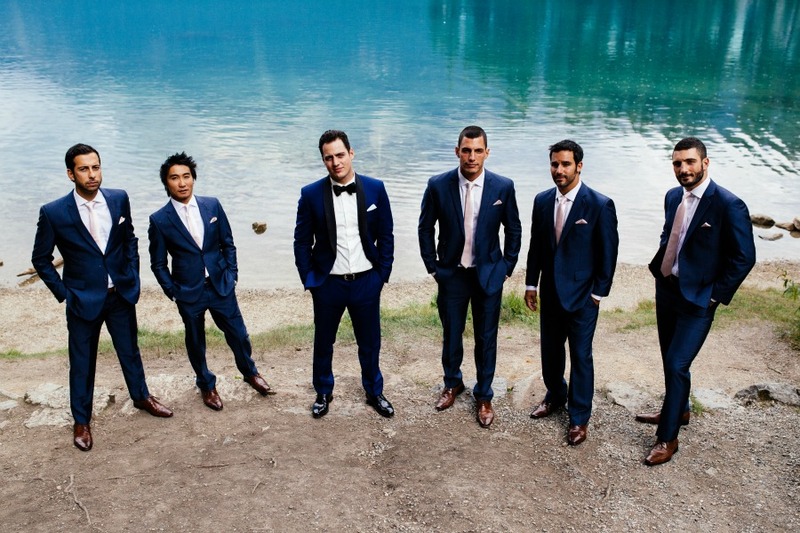 They also have great friends and family who obviously love them very much! 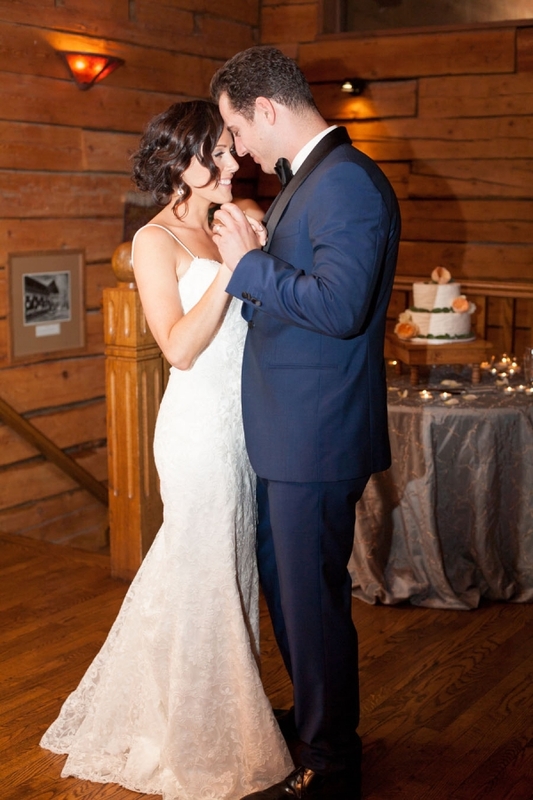 This made for a wonderful, heartfelt day with great photos by the talented T.LAW Photography! 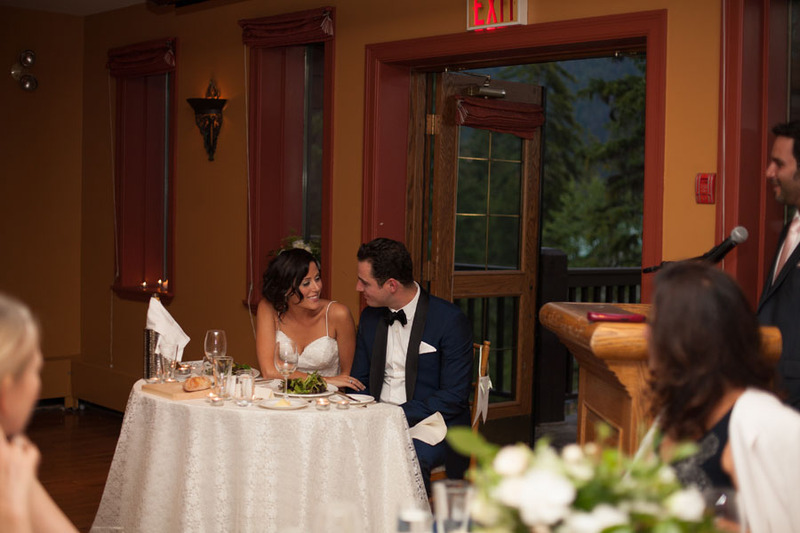 We were so fortunate to work with Michelle and Jon on their wedding day! 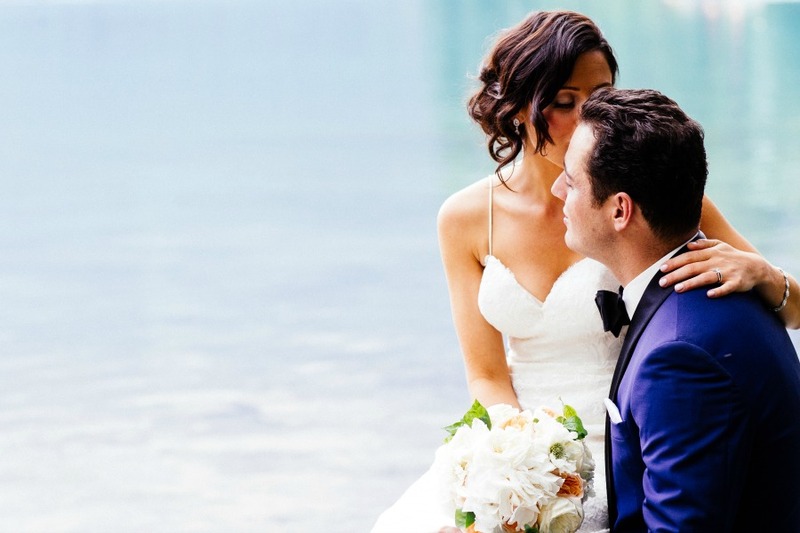 The best weddings are the ones where the couple completely relax and are able to enjoy every minute of their special day with their loved ones. 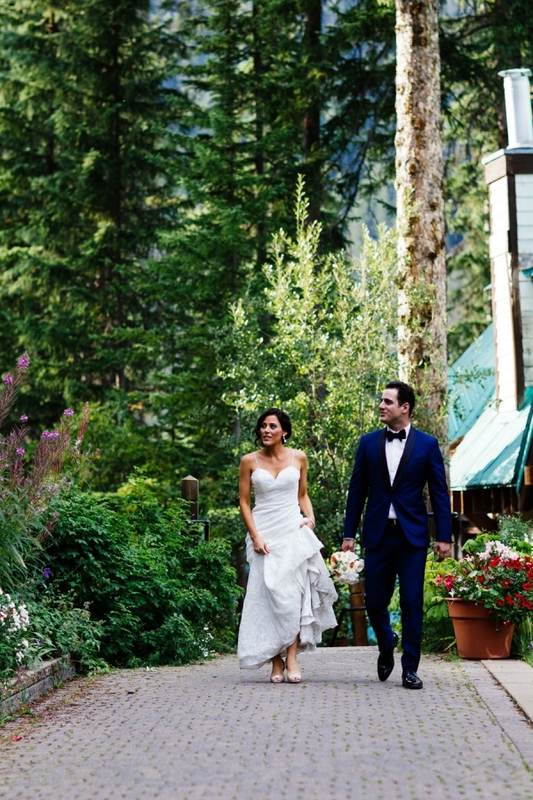 Michelle and Jon did just that and it is evident in every photo! 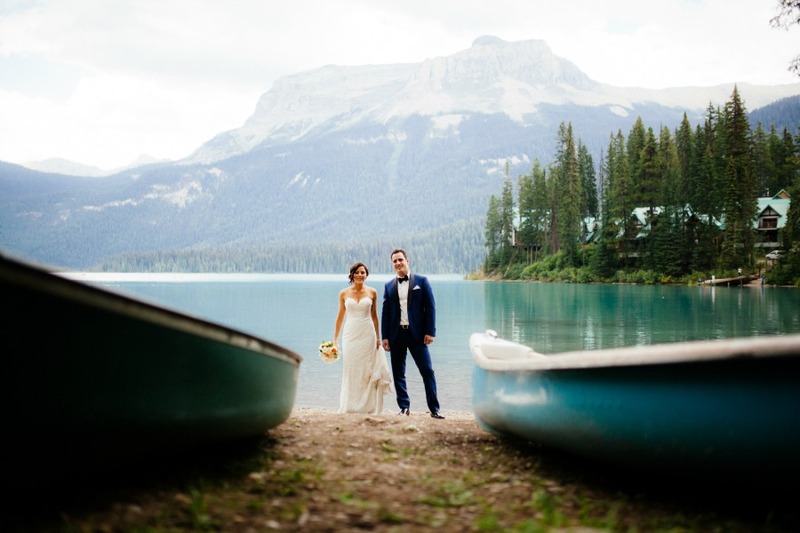 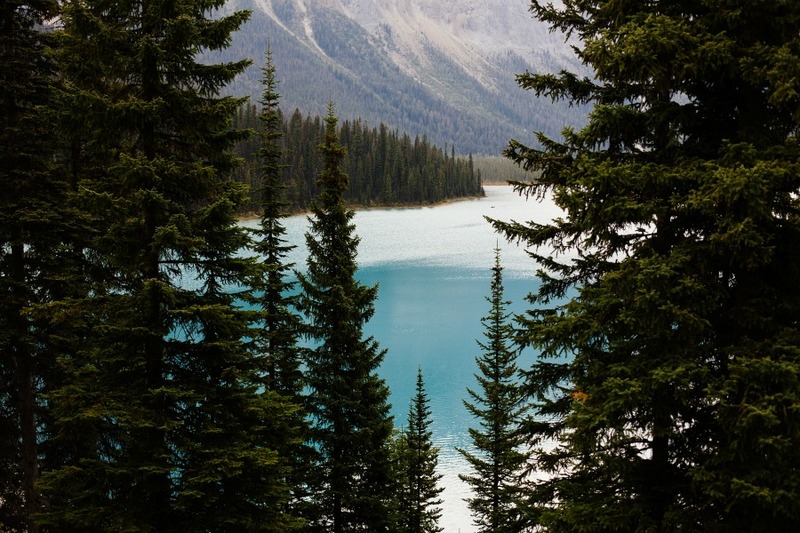 Of course, the beautiful scenery at Emerald Lake Lodge only adds to the ambiance! 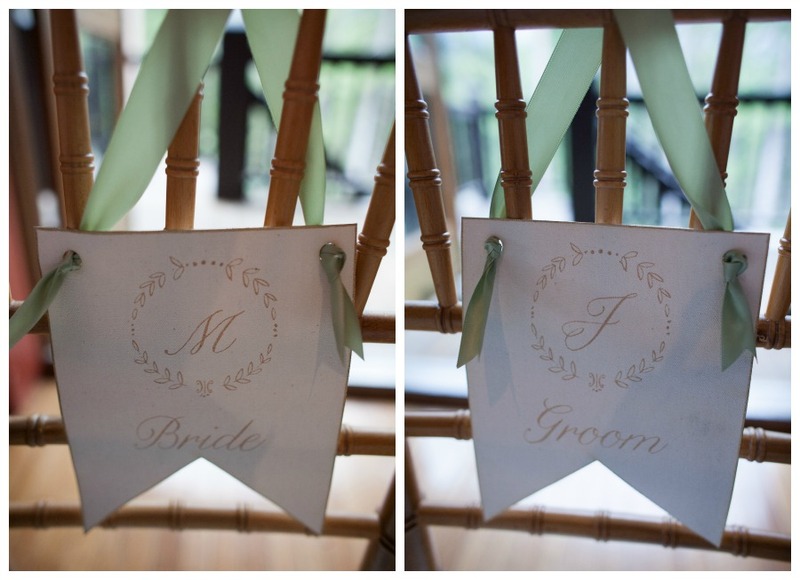 I loved all the personalized touches Michelle and Jon added to their wedding. 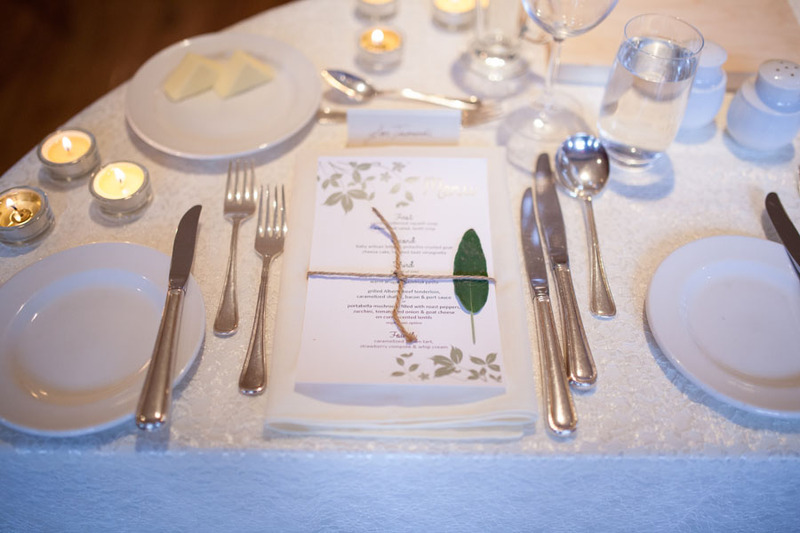 They had special herb packets for favors as Michelle is a dietician and wanted to reflect her healthy nature. 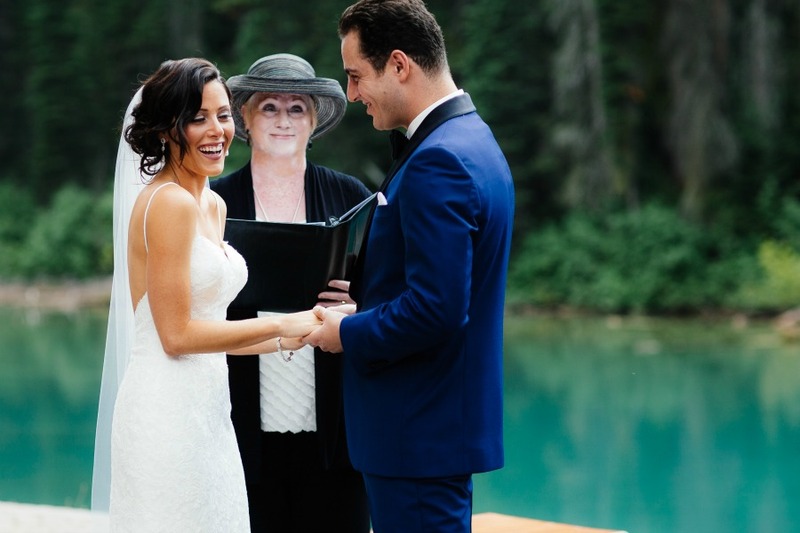 They also had guests throw dried lavender at their ceremony and they had their own wedding hashtag! 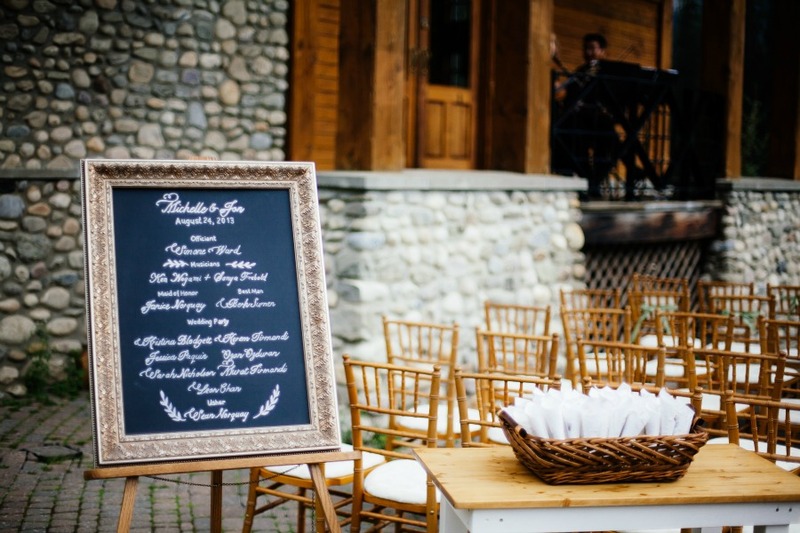 We also added plenty of custom details like the bride and groom chair signs, and one of my favorite items was the maple wood cutting boards we made for each of the tables (instead of having the usual bread basket on the table). 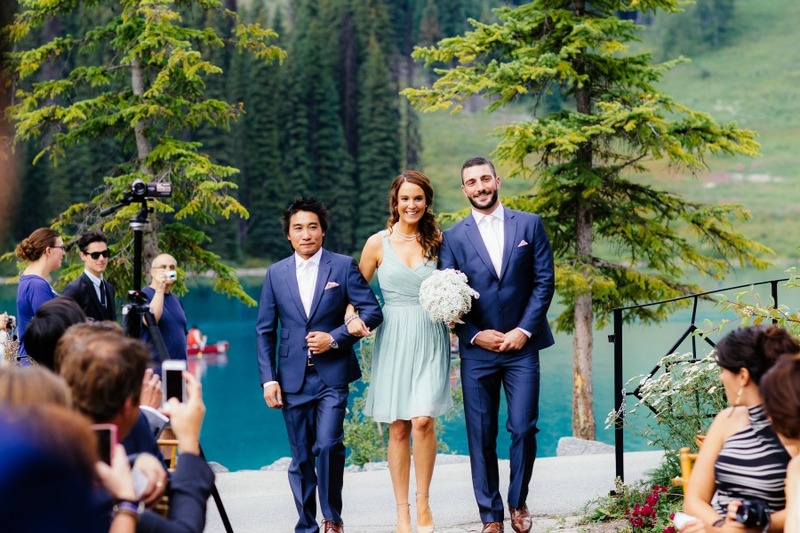 Wedding Planner: Naturally Chic; Wedding Photographer: T.Law Photography; Wedding Venue: Emerald Lake Lodge ; Venue Flowers: Michele Masterson at Blue Hydrangea; Cake: Barbara Laberge formerly of Cake Creations; Hair: Rana at Viva Hair; Makeup: Chan at Bella Vous Artistry; Chairs – Special Event Rentals Banff; Linens: Celebration Creation; Custom Made Decor (cake stand, bride and groom chair signs, chalkboard art, maple wood breadboards etc. 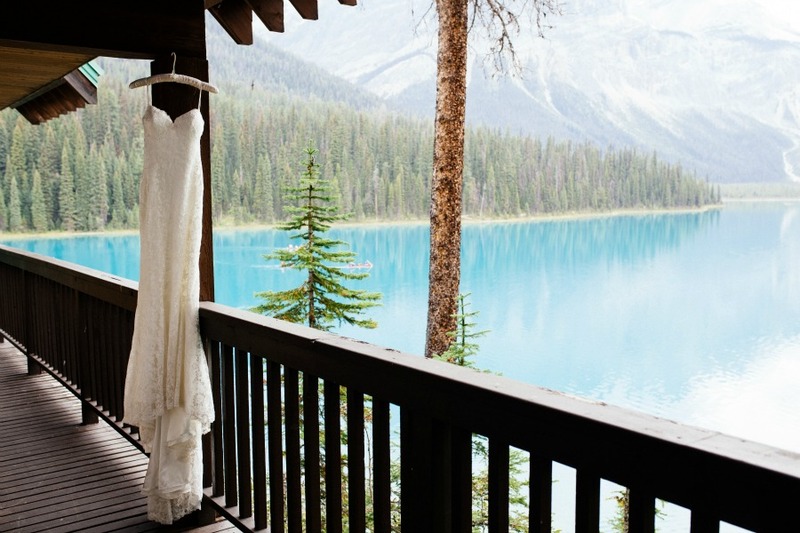 and Wood Accents: Naturally Chic.